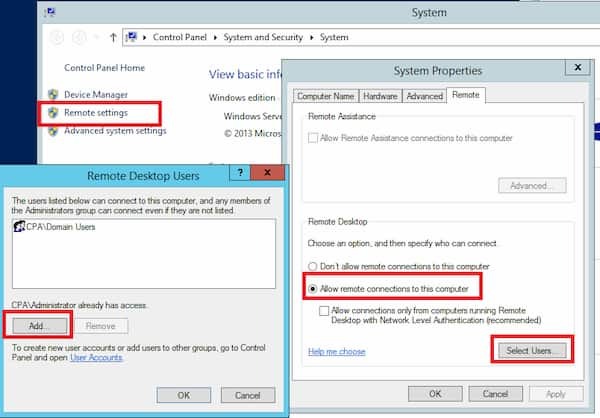 Enable Remote Desktop Windows 10: With the constant improvement of Internet connections, it is increasingly common to be able to connect remotely to any computer and be able to access its resources at any time or any place. One of the features that most users seek is to connect to their computers remotely in order to access their programs and files at any time simply by having an Internet connection. There are many applications to connect remotely to a computer, although one of the most used and simplest is Remote Desktop in windows. Remote Desktop is the official Microsoft application which is included in Windows. Developed to be able to connect remotely to our computer and control it without having to be seated in front of it. For security reasons, this feature is disabled by default in the operating system of windows 10. So if we want to use it, we must enable it manually. We remind that if we enable it, anyone with our IP, username, and password will be able to control our computer and have access to all of its data. So before doing anything, we must make sure to configure a secure password that protects our account. Enable windows remote desktop without Cortana. Now let’s check them in detailed. In this method, we will show you how to enable remote desktop in windows 10 using just a few steps using Cortana. Thanks to Cortana in Windows 10. Cortana allows us to quickly access the different sections of the operating system configuration. 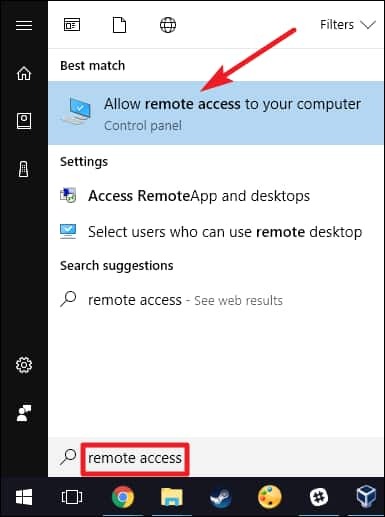 Just type in the search “Allow remote access to the computer” to access directly to this section. For those who do not want to use Cortana, you can also access this configuration from the PC properties> Advanced configuration> advanced system configuration> Remote access. In both ways, we will arrive at the same configuration window. Here we can see two options: Remote Assistance and Remote Desktop. The one that interests us is the second, which is what will allow to activate (or deactivate, in case of not wanting to use it) this feature. We will enable the option “Allow remote connections to this computer” and this service will be available to all users. For security reasons, it is advisable to specify the users that will be able to connect remotely to RDP. So that if one of them uses an unsafe key, it does not endanger the integrity of the system. To do this we will click on “Select users” and add all those to which we will allow connecting remotely to the computer. These are the recommended article whichever user who visited this article has seen the below article. So these might help you as well. Check them and get the benefits of all of them. Hence, you have got the step by step process to enable remote desktop windows 10 easily. Just follow according to the process and do it successfully. Feel free to ask your questions if you face any issues in doing it. We hope you like the article and willing to share it with friends and families at social networking sites. Stay tuned to Cracko for more awesome guides to solve problems.